Dr. Samuel Y. 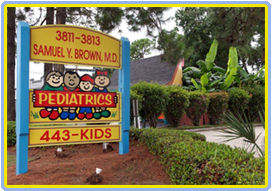 Brown began a private Pediatric Practice in 1976 in Metairie, Louisiana. 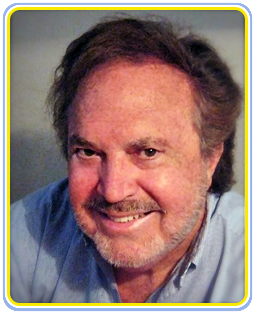 Early on in his career, Dr. Brown was asked by the Office of Community Services and Child Protection Services to be the Medical Director for all of Jefferson Parish in Louisiana. Dr. Brown’s time with the agency spanned 20 years, during which time he evaluated over 12,000 cases of abuse and/or neglect. Dr. Brown appeared in court on numerous occasions on behalf of these children both in juvenile and criminal court, and because of his fierce dedication, he was responsible for putting several guilty parents/caretakers behind bars. 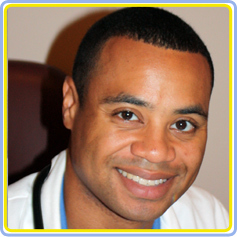 Dr. Brown was approached by Mr. Wieland and others from the Department of Health and Hospitals in Baton Rouge and asked if he would start the KIDMED Pilot Program Metairie, Kenner, and the New Orleans area of Louisiana. 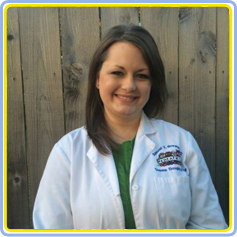 Dr. Brown welcomed the chance not only to accept the position, but to institute a Louisiana sponsored preventive care program for children. He began to see a difference in well care and immunization rates with his patients. 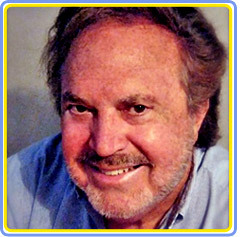 In 1996, due to the growth of his Practice and the desire to move to a more medically underserved area, he moved his Practice to Kenner, Louisiana, where he and his wife Linda built a state of the art Pediatric office. 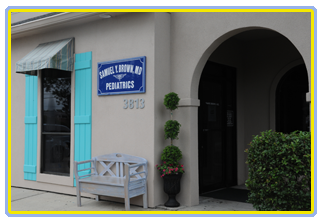 Our Pediatric office at 3813 Williams Blvd. provides the perfect location for our patients, with its high profile setting and more than adequate and convenient drive up parking on both the front and behind the building. 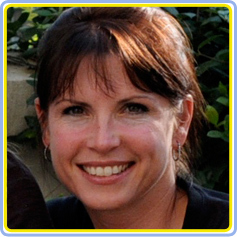 Our Pediatric Medical staff is certified in CPR, Denver Developmental testing, and in P.E.A.R.S. (PEDIATRIC EMERGENCY ASSESSMENT, RECOGNITION AND STABILIZATION). We perform annual emergency drills to keep our entire staff fully trained and ready to handle any emergency that may arise. 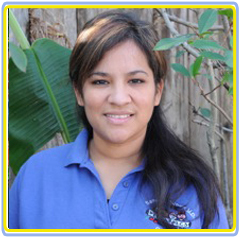 All of our friendly and helpful 10 medical assistants are bilingual (Spanish/English). A Spanish translator (one of our medical assistants) is on call every night to provide 3 way hook up with the provider and the parent. This ensures continuity of care, but more importantly, cuts down on unnecessary after hours Emergency Room visits. Dr. B. and Linda first saw Easy (a.k.a. 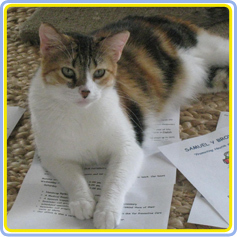 office "MasCat") at the Jefferson Feed Store on Adopt a Cat Day. It was love at first sight~ SIMPLY PURR-FECT. 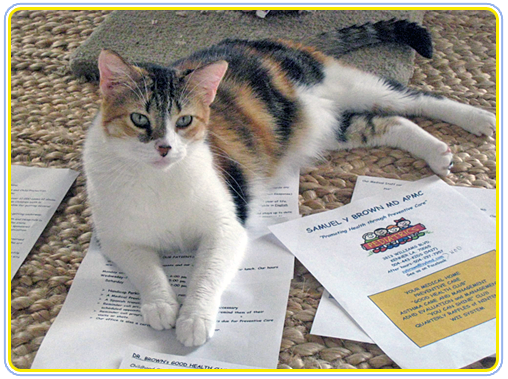 "She is the most interactive pet we have ever had," and she takes her responsibilities as "mascat" of Dr. B's Pediatric office very seriously. See first run movies for your children while you wait. Table top toys for your children. Virtual fish tank to sooth your wait time. Read a board to keep you informed. we have lunch time appointments. We know that choosing the "right" Pediatric office is an important decision for parents. 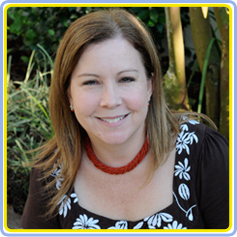 We believe that Dr. Brown's Pediatric office offers many unique features that make it a good choice for families. 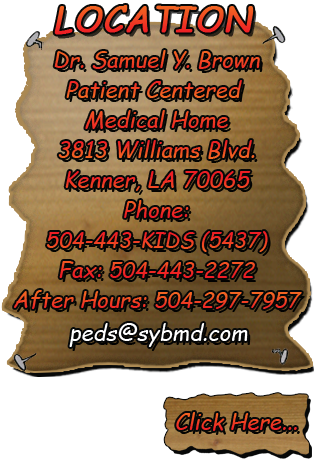 Our pediatric practice has an established, trusted reputation in the community, having served the children of Kenner and surrounding area since 1976. 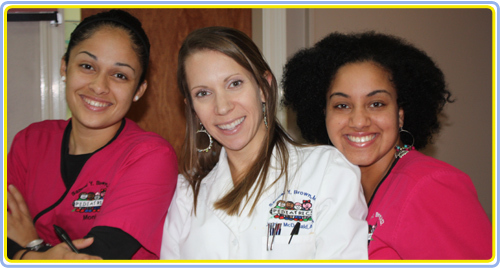 We strive to provide high-quality, patient-centered care to our families. 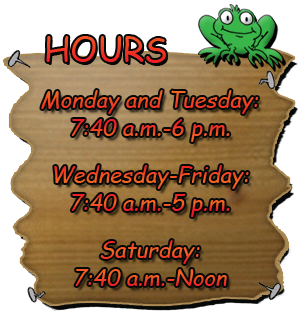 We have convenient park and walk right in access. Our kid friendly waiting room features first run movies. Kids marvel at our big screen virtual fish tank. 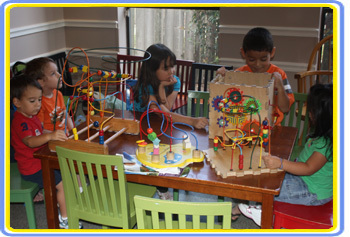 Your children will be entertained with our table top toys. Evidence Based Medicine- To ensure that your child receives the best possible care and that all of our providers are up-to-date on the latest medical standards, we have internal committees who review, audit and provide ongoing education for our providers and staff. Our entire practice is committed to providing the best quality, cost-effective medicine for your family. 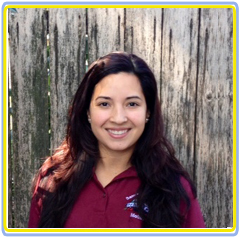 Our Medical staff is certified in CPR, Denver Developmental testing, and in P.E.A.R.S. (PEDIATRIC EMERGENCY ASSESSMENT, RECOGNITION AND STABILIZATION). 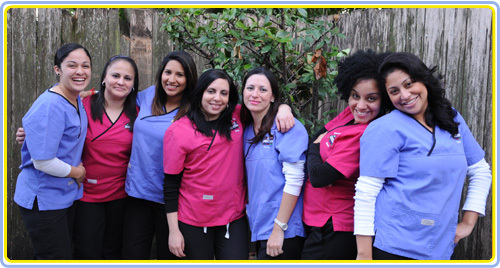 All of our 10 medical assistants are Hispanic women that speak fluent Spanish and are within the peer age group of our Mothers. You can choose the provider you wish to see from our pediatric staff. 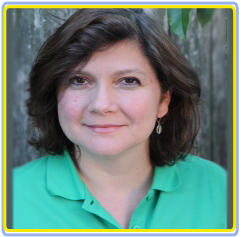 Our Pediatric office staff is bilingual and is there to help with your translation needs in our Pediatric office and to assist you with making appointments with specialists. 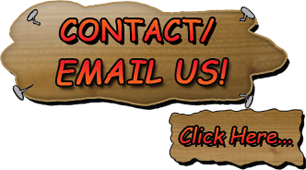 We have both Male and Female Providers to help your adolescents feel at ease. Emergency services including breathing treatments. Minor surgical procedures performed on site. State of the Art Hearing Tests (ABR&OAE). All Aboard Our Re-Check Express!!! 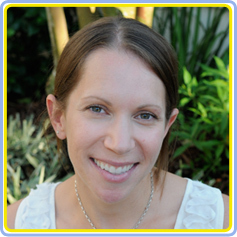 You can email questions and appointment requests to peds@sybmd.com. Ample parking (front and rear of building). Support for Asthma, Vaccine Education, Breastfreeding and More. Children's health care needs are different from adults. Our Pediatric Providers are trained to prevent and manage health problems in newborns babies, infants, children, teens, and young adults. 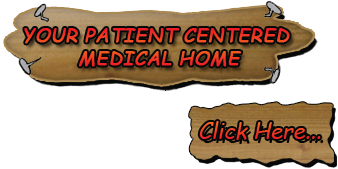 Dr. Brown’s office believes in providing the best possible care for our patients and therefore, we have become an accredited Patient Centered Medical Home. We are now nationally recognized through the National Committee for Quality Assurance, known as NCQA. We are excited in continuing to bringing you and your family the excellent care you deserve. We are now on EHR (Electronic Medical Records); this will help keep your health information secure and readily available. We thank you again for your patience and allowing us the opportunity to care for your family. When you schedule your recheck appointment, you can be assured in knowing that your wait time for your follow-up will be minimal. Provided that you are ONLY coming in for a recheck with no shots or well check up. ALL ABOARD THE RE-CHECK EXPRESS TRAIN!! This is a new program we have started at Dr. Brown’s office in order to reduce your wait time for a re-check, so you will be seen faster. This is for re-checks and follow-ups only on an illness basis (no shots or preventive care will be done with express re-checks). Re-checks will be seen sooner and as quickly as possible. Please understand, this may interrupt your place in line to be seen, but remember, you will be happy when your re-check turn comes.